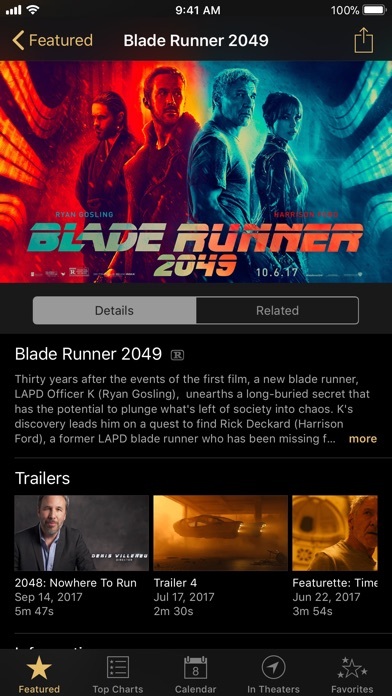 • Requires Internet access over a Wi-Fi or cellular data connection How Your Data Is Used When you have iCloud enabled, iTunes Movie Trailers stores your favorite theaters and movies with your iCloud account to keep them in sync across all your devices. 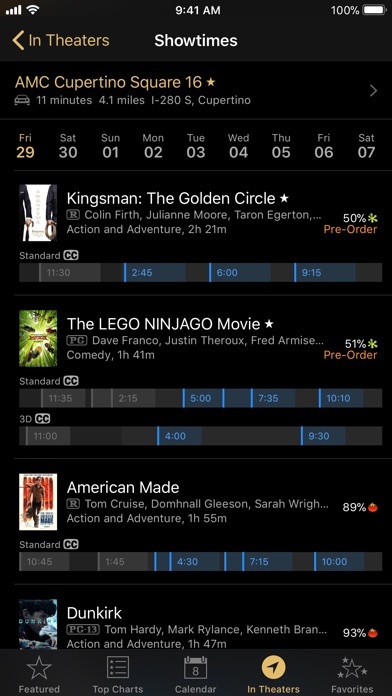 I am a new user of the app, and so for the app is good, except I see it is missing movies when looking at theaters. For example, Shazam! 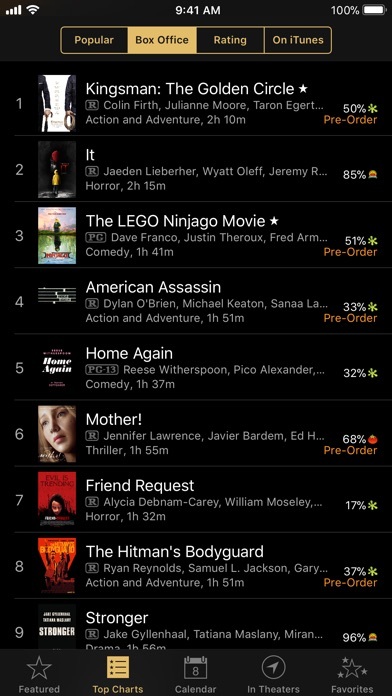 Is missing, how is this movie missing when it’s the number one movie at the moment? 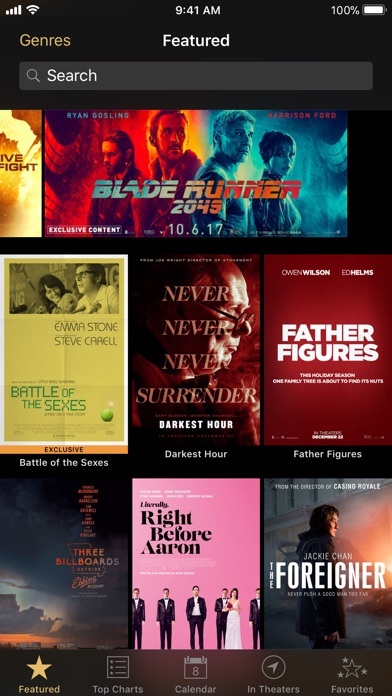 Something has occurred where the movie info ( time, cinema etc) no lingers works. 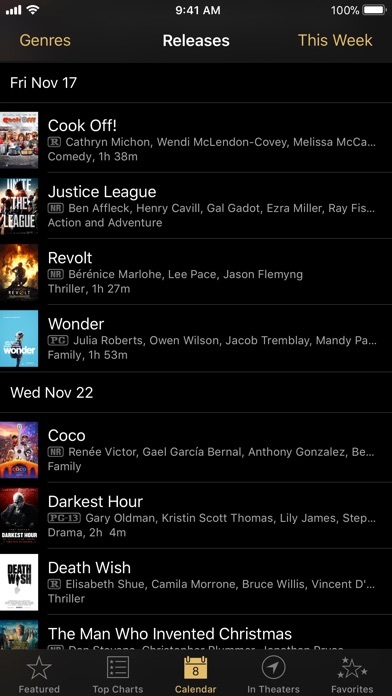 The app does not show all of the info from all the theaters around me. What happened? If u notice this complaint is a recurrent one mentioned in the reviews. Not updated for 2018 iPad Pro??? I am sad to find out the app doesn’t feature Taiwanese movie More Than Blue’s trailer at AMC25 in NY even with location service turned on. Does not support 2018 iPad Pro? This is apple’s own software and it still does not support 2018 iPad pro yet? There must be something terribly wrong inside Apple. Once great app but unusable on new 11” iPad Pro. I guess Apple has given up on it. When you click on a trailer it doesn’t play, it just “thinks”. This started a week ago. Fixes? ?